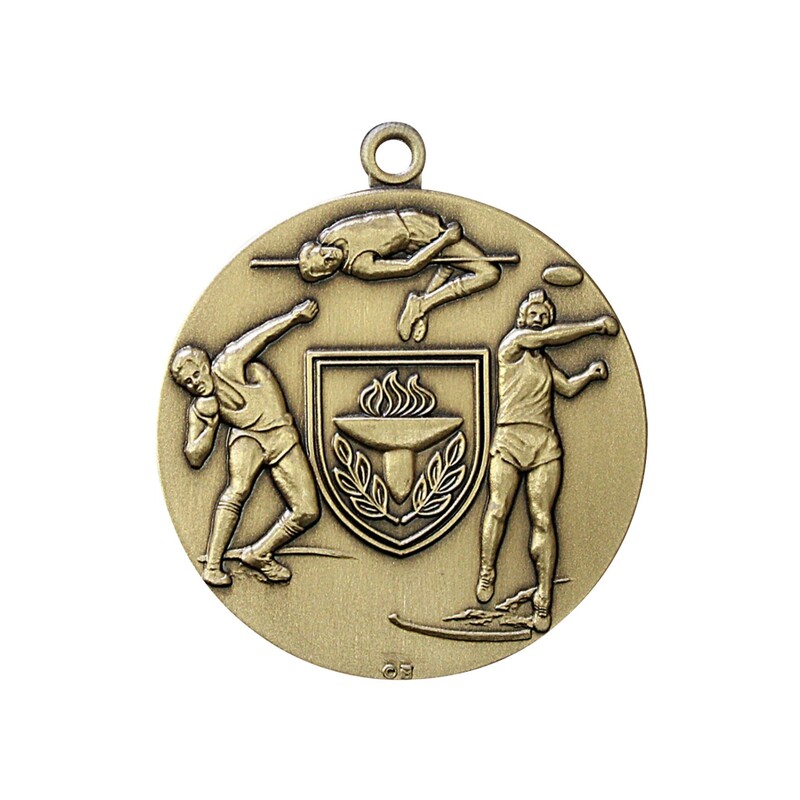 Celebrate the spirit of track and field competition with Premium Male Track Field Events Medallions! 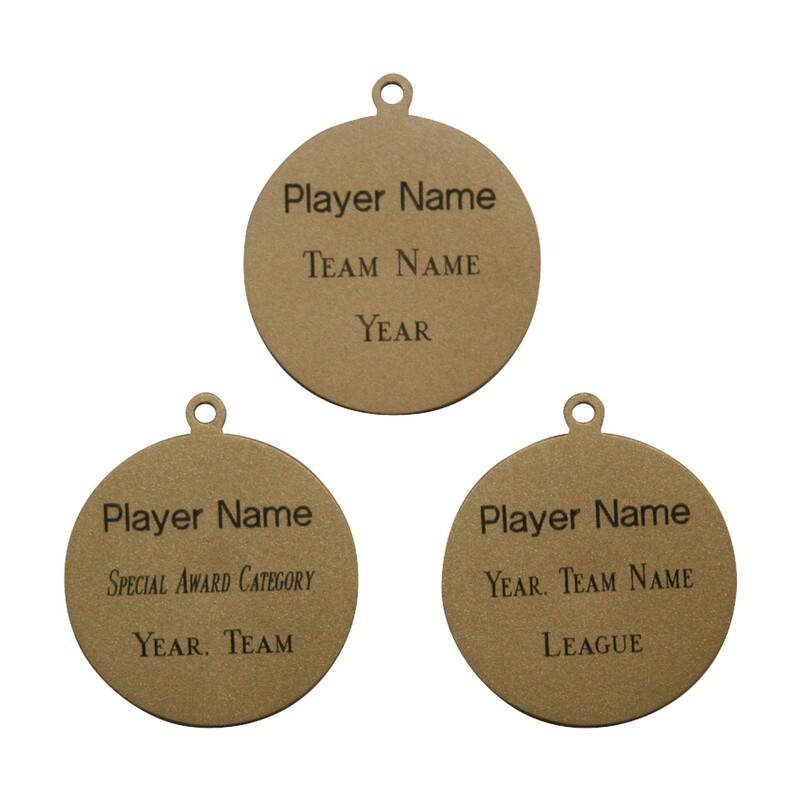 Our premium 1.75" medals are made of the highest-quality metal and feature darkened engraving. 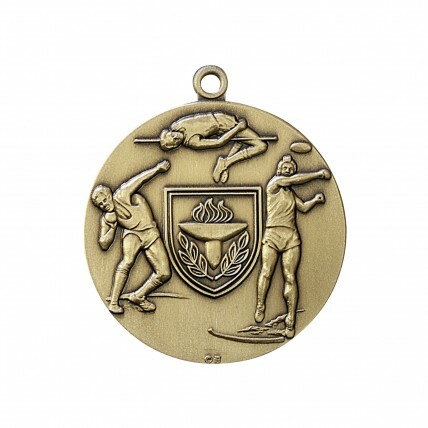 These classy medallions show male track athletes competing in various field events - all surrounding a victory flame. 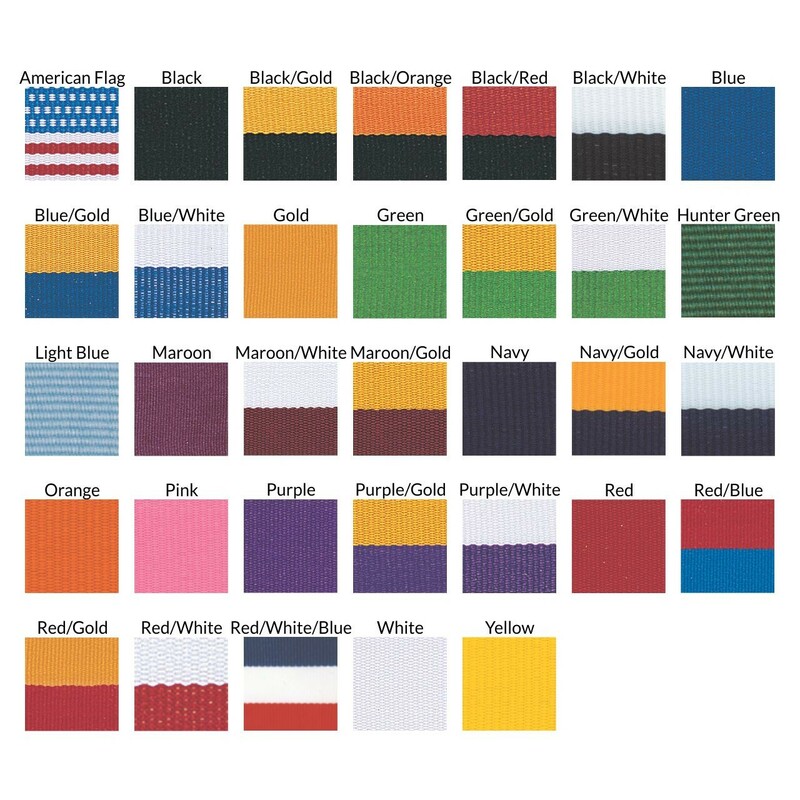 Available with your choice of neck drape color.